I enjoy having people over, even more so when I have guests overnight. I dote on them, making sure they are comfortable and feel at home. 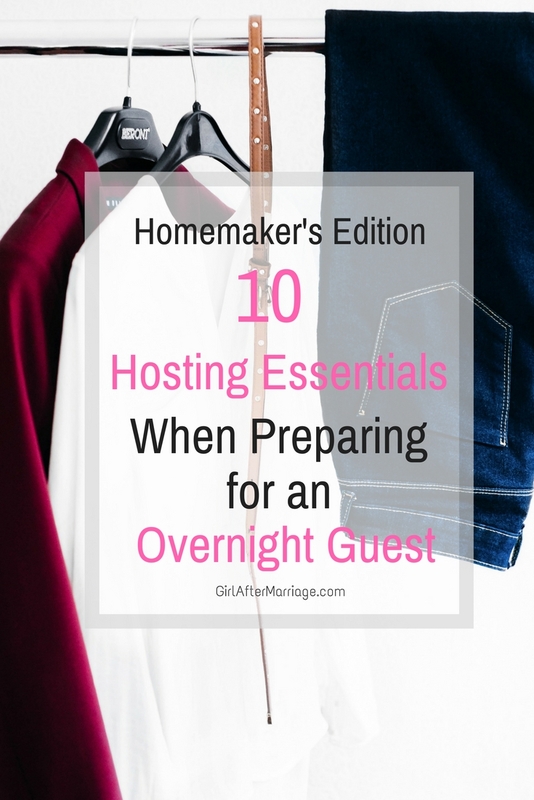 The best part about preparing for a guest is that I can be ready within a few short hours, and it only takes period simple, yet essential, steps! 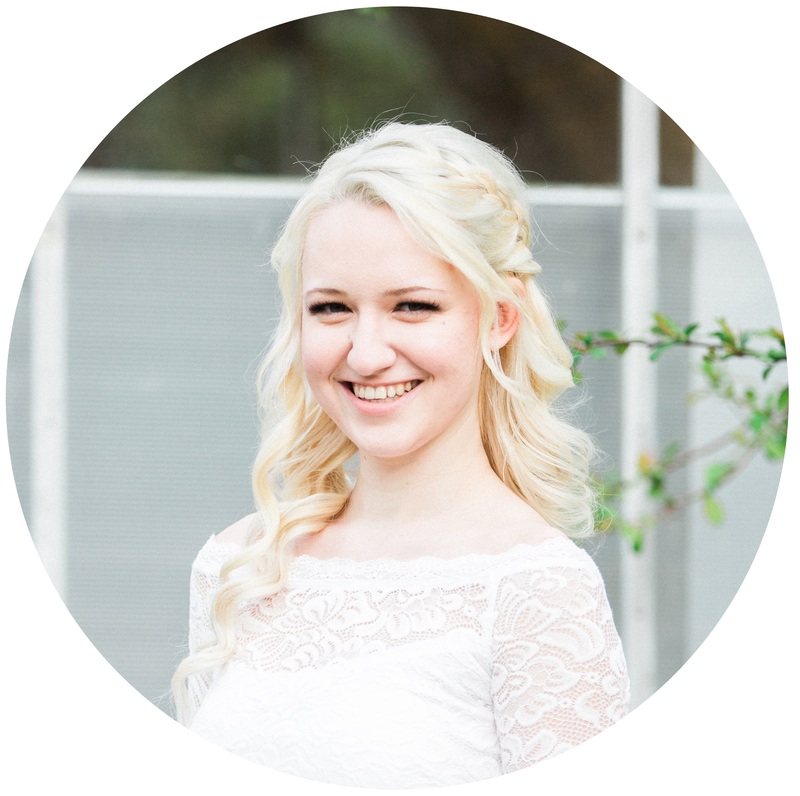 By following these tips and ideas, you will become a “hosting queen” in the eyes of your guests. I like to spend a significant amount of time in the guest room. Sometimes guests room can become dumping grounds for extra furniture, clothes, or even you use it as a craft room half the time. It would be a good idea to take anything that does not belong in there and clear it out. Add freshly washed sheets, vacuum and clean the floors, and open the window for some fresh air. Dust all the furniture, wipe down all surfaces, and rearrange the furniture. There is a youtuber I follow who would create “welcome baskets” for her friend who came to visit. I thought this was such a great idea! You can include anything in this basket, but my personal favourite items are a bottle of water, sheet masks, and a sleep eye mask. I also add a headband, a magazine, and tea packets. I do this for my girlfriends who visit from out of town, and they love having little goodies to pick from and use. In today’s world, everyone needs internet access, which of course means that your guest will need your wifi connection. You can be casual and tell them in person or write it on a post-it note. However, if you would like to go the extra mile, create a cute sign that says ‘Wifi’ with the network name and connection. Print it out, place it in a cute frame, and have it on the bedside table or a shelf. Your guest will need somewhere to place all their clothing. Be sure you have a closet, wardrobe, clothing rack, or dresser available for them, with extra hangers. If you want to go a bit further, add a jewelry box or a tray for accessories to be placed in, too. If your guest is staying for an extended period of time, add a laundry basket in the room to throw their dirty clothes in. Be sure to give them an opportunity and offer to wash their clothes. Make the room cozier and inviting, simply from just decorating. 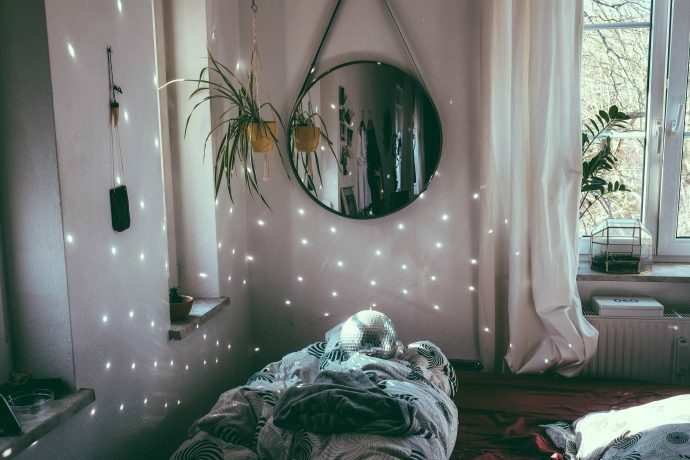 Add throw pillows, pictures on the walls, a mirror, fairy lights, a canopy, curtains, a vanity, or just little knick-knacks. Brighten up the room and make it come to life with a vase full of fresh flowers. Not only will the room look better, but it will definitely make your guest smile. Another thing you can do is provide some books or magazines that you think your guest may enjoy reading in their downtime. They may already have their own book or a kindle, but you never know if they will want to read something new! Depending on the season, be sure to offer extra blankets and pillows. You never know if it will get cold or if your guest will want extra pillow support. Be sure to let them know that these items are available for their use. If you want to be extra prepared in the case your guest forgot to pack something, or they happen to be staying unexpectedly, have a basket of “extras” stored away. Extra shampoo, conditioner, soap, toothbrush and toothpaste, mouthwash, floss, makeup remover, hair ties, bobby pins, a comb, and face wash are some of the items you can have put away, yet have ready to offer in a second. If your guest is from out of the country and has never been to your city, create a list of local attractions for them. Restaurants, tours, towns to visit, festivals, beaches, anything of that sort. Write it down for your guest to look through and let them choose what they would like to do. And there you have it! Sometimes all it really takes is having a lovely room to stay in and good company for a person to enjoy their stay. Your guest will be happy, comfortable, and feel at home. This is perfect! I have company coming at the end of the month for the first time in our new house, and I will definitely be using these tips! This is awesome! I’m going to use some of these tips for the next time I have over night visitors. These are some wonderful tips! I have a guest coming to stay this weekend and the spare bedroom recently became the cats room so I definitely have some work to do in there hahha thanks for sharing! You are so welcome 😀 Haha! Oh my same, it’s the “cats” room, and she gets mad when I make her leave! I am actually preparing to go out of the country soon and I have a friend staying at my place for house-sitting and pet-sitting as well. This is a great guide for me to know exactly what I should have in my place to just make their stay more comfortable. Thank you very much! Enjoy your trip! These are such great ideas! I love the thought of a welcome basket 🙂 We have family and friends visiting a ton now that we are in a new home. It’s a lot of fun to put together, too, and each one is so unique according to your guests. Your family would love it! I would certainly appreciate all of this when I am someone’s guest. Thanks for sharing. The wifi password is a MUST! I love these tips. Super helpful. It’s always the little things that make a stay so great. This list is so thoughtful. I am going to refer back to this post the text time I have someone over to stay. Thank you for these great tips. The WIFI password is a good tip, something you don’t think about on a day to day basis since you are used to already having access to it. We have guest coming to stay at our house soon and i’m so totally doing the Wifi Idea I never even thought of a laundry basket for them! Thank you! You’re welcome! Totally, it will really add to the room! So many of these tips are things I would have never thought of! Specifically closet space and reading material. Oh – and the WiFi password! Such great points and ideas. We just redid our backroom to include a bed for guests so I am hoping I’ll have use for this post in the near future! Fresh flowers are always extremely welcoming, I am always drawn to beautiful and vibrant colours. With these ideas we would cater well to the needs of our guests. You thought of everything. This is a great post with simple ideas to make our guests feel welcome. I love the idea of the welcome baskets. There are so many ways you can use this! such good tips! welcome baskets are such a cute idea! I love this post, you have some great ideas. I usually to scramble when I have guests coming over and always forget some of the essentials. Wow, I really want to escape to your house for a few days! Some great suggestions here! I’ve started looking for a place of my own so I guess these are the kinds of things I’ll have to start thinking about! I want to have a sleepover at your house! Lol. How wonderful!!! What an awesome host!! I’m afraid if I follow all these tips they’re never gonna leave!😂 Amazing! I try to do most of these things! I provide travel-sized bottles of shampoo, lotion, etc. Offering a charging station is also much appreciated. It’s also nice to have the home address posted somewhere in case a guest wants to order delivery. That address part is a great idea!! I’m going to do that! Love this idea! Just those few little things will make their trip that much nicer. I love the welcome basket idea! Wonderful!!! 😀 I hope you got some useful tips from my post then!! Fabulous ideas! Great list to have. Really love the welcome basket idea. Great tips. Love the idea of a welcome basket. It’s like saying you’re special without saying it. also, very thoughtful to leave empty hangers and drawers for them to use. Something that most of the time is overlooked. Thanks for sharing.